Mr. Gross has broad experience handling business and personal matters including: Business Transactions and Disputes, Franchise Law, Trademark Law, Commercial Litigation, Wills, Trusts, Probate, Real Estate Transactions and Disputes, Criminal Trials and Personal Injury Litigation. Mr. 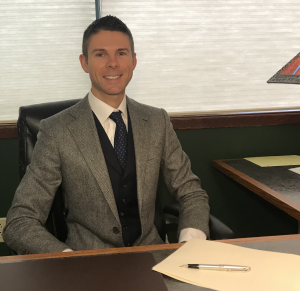 Gross draws on his prior experience working in-house for a national Franchisor to offer insightful advice on business matters and transactions. While continuing to work with Franchisors and Franchisees, the Gross Law Group handles a wide variety of matters for companies who can benefit from part-time legal counsel that integrates seamlessly with their business team. Having an attorney with keen commercial acumen and business experience can save substantial time and resources while identifying and resolving risks that a less integrated lawyer may not notice. As part of the representation of businesses, Mr. Gross has extensive experience with transactional and litigation work including Trademark Applications, Filings, Notices of Opposition before the TTAB and responses to Office Actions as well as litigation regarding infringing marks and trade dress including Lanham Act, unfair competition claims, unfair trade practices, and many others. The Gross Law Group, P.A. represents individuals in their Personal Injury Claims, Contract Disputes and provides general legal advice tailored to fit the needs of the client. As a skilled trial advocate, Mr. Gross has tried cases in State and Federal Court, and is admitted to practice before all State Courts in Florida and Montana as well as Federal District Courts for the Middle District of Florida, Southern District of Florida, and the United States District Courts for the District of Montana. Prior to graduating from the University of Montana School of Law in Missoula, Montana, Mr. Gross attended Florida State University in Tallahassee, Florida, where he received a B.S. in Public Safety and Security with an emphasis on Law Enforcement Intelligence. Mr. Gross spends his time between his home state of Florida and the beautiful state of Montana. In his free time he enjoys boating, fishing, SCUBA diving in Florida, and hiking and hunting in the mountains of Montana. Grant is a native Montanan currently in his third year of law school at the University of Montana. Originally from Billings, Grant received a bachelor’s in Philosophy from The Catholic University of America. A year later he graduated from the same institution with an MA in Philosophy. Grant is happy to be back in his home state. When not working or studying, he likes to spend time with his family spread across Montana or enjoy the outdoor recreation Missoula has to offer. Josey applies her years of experience as a skilled paralegal and deputy court clerk to client matters to help offer the highest level of service to our clients. Often, she is the primary point of contact for clients and generally maintains order in the office.